Reverse osmosis was first observed in the mid-1700’s and has been used successfully since the 1970’s to treat water. When it comes to swimming pools, pool covers can help with evaporation, but if you live in areas where the water is hard, you will need to change out your water every couple of years. Our technology can conserve up to 85% of the water in the swimming pool, which makes it an effective solution to a typical drain and refill. Draining pools waste an average of 20,000 gallons of water and use another 20,000 gallons of water to refill-there is a better way! At Weber Pools, our mobile filtration trailer utilizes Reverse Osmosis to lower Calcium Hardness, Total Dissolved Solids (TDS), salts, phosphates, Cyanuric Acid (CYA) and other contaminants from the swimming pool. The trailers are completely self-contained and run on their own power. Two hoses come from the trailer and one is attached to a pump that takes water from the swimming pool into the trailer. The water is pre-treated before it contacts the RO membranes and then pure water is returned to the swimming pool. Depending on the initial TDS reading, we can predict how long the process will take to lower the TDS and calcium levels to below what can be obtained from the tap. There is no downtime during the process and the surface of the swimming pool is never exposed. Just last week we processed a 10,000-gallon above ground swimming pool and want to share the results with you. After filtering this swimming pool for 8 hours we were able to leave them with the following ending chemistry that is better than Dallas tap water. 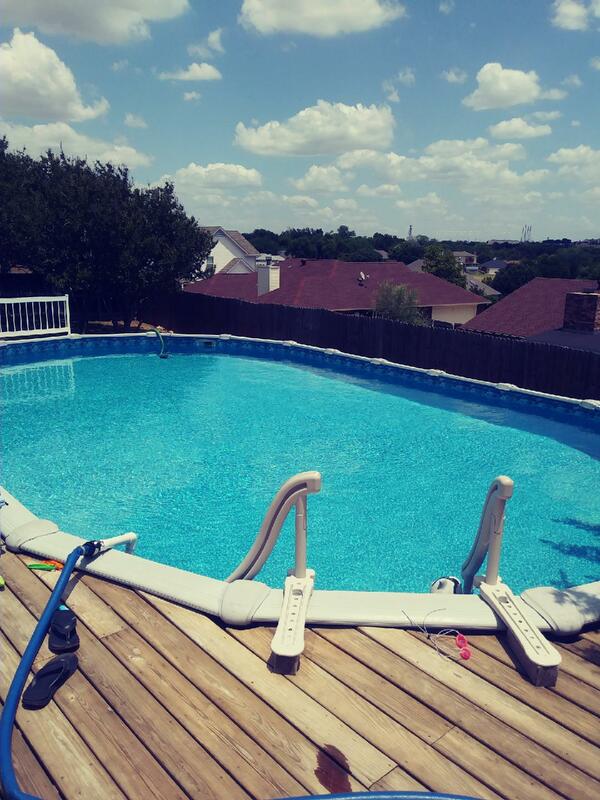 This service allows us to provide the best solution to remove Calcium Hardness and Total Dissolved Solids from all swimming pools, residential or commercial. 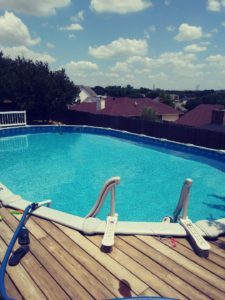 As pool water evaporates and time passes, your relaxing, inviting swimming pool becomes more work to maintain and the water becomes less sanitary. In less than a day (residential pools), our mobile filtration unit will lower or remove the Total Dissolved Solids, Calcium, excess Stabilizer (Cyanuric Acid), Phosphates, Nitrates, Viruses, etc. We will give you back a clean, healthy pool; all while conserving nearly 85% of your existing water. Your pool will be as pure as if you had filled it with bottled drinking water! If you are interested in swimming in the best water quality today, contact us now to schedule an appointment!